There has been no fresh snowfall in the Trois Vallees for over six weeks. Christmas and New Year passed by with not even a single, solitary flake. Like everyone else I’ve been silently praying for snow and finally, it seems our prayers are to be answered. Snow is already falling in Verbier, Switzerland and Meteo France predicts significant snowfalls for the Trois Vallees in the coming days. But now the snow is finally coming there’s a part of me that dreads its arrival – because I know it will be deadly. In the excitement of fresh powder caution will be thrown to the winds. Skiers will duck under the rope and venture onto virgin snowfields without the correct equipment and without understanding or analysing the risks involved. I know this because, sadly, it happens on every powder day. Last season I was in close proximity to two fatal avalanches triggered by the skiers who lost their lives. The year before I assisted in an unsuccessful avalanche rescue. After such a long barren patch it seems horribly inevitable that, in the next few days when the long awaited fresh snowfall finally arrives, tragedy will strike. I will, of course, still be out on the mountain carving fresh tracks of my own, but this year my own elation will be tinged with a sadness that comes from the knowledge and experience of previous seasons. 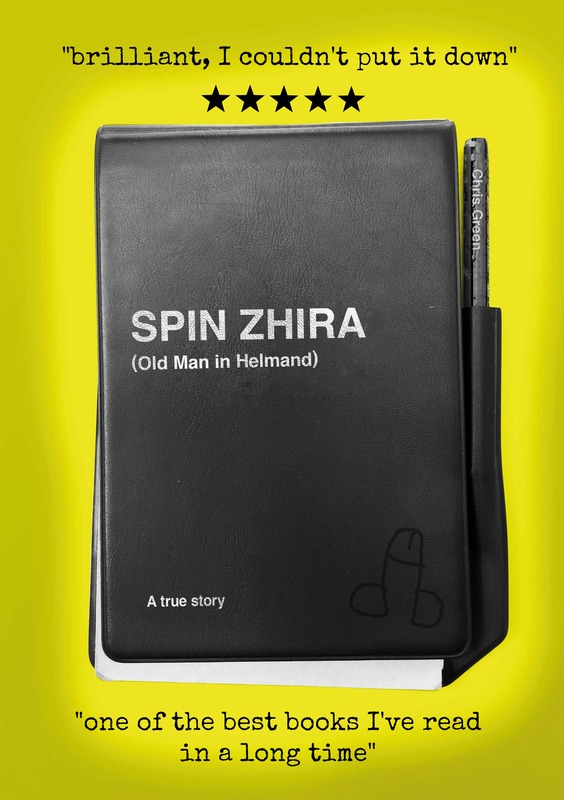 SPIN ZHIRA: Old Man in Helmand is a unique account of the Afghan war as seen through the eyes of a middle-aged man thrust onto the frontline by a failed marriage, financial ruin and the words of John Stuart Mill (1806–1873). A true story of love, service and adventure, it is a compelling examination of choice that explores the landscape of war and commitment to cause and honour, juxtaposed against heartbreaking love for family and the persistent call of the untracked snowfield and its descent into the unknown. Previous PostPhil Shiner: Greedy, unscrupulous w#nker.Next PostWhy is the Sergeant leaving?